Tablets, like conventional PCs, run multiple operating systems (though dual-booting on tablets is relatively rare). These operating systems come in two classes, desktop-based and mobile-based (“phone-like”) OS. Desktop-based tablets usually are thicker and heavier, require more storage, more cooling and give less battery life, but can run processor-intensive applications such as Photoshop in addition to mobile apps and have more ports, while mobile-based tablets are the reverse, only run mobile apps. By 2013 year-end, Gartner found that 121 million Android tablets, 70 million iOS tablets, and 4 million Windows tablets had been sold to end-users. Android is a mobile operating system (OS) currently developed byGoogle, based on the Linux kernel and designed primarily fortouchscreen mobile devices such as smartphones and tablets. Android’s user interface is mainly based on direct manipulation, using touch gestures that loosely correspond to real-world actions, such as swiping, tapping and pinching, to manipulate on-screen objects, along with a virtual keyboard for text input. In addition to touchscreen devices, Google has further developed Android TV for televisions, Android Autofor cars, and Android Wear for wrist watches, each with a specialized user interface. Variants of Android are also used on notebooks, game consoles, digital cameras, and other electronics. Android has the largest installed base of all operating systems of any kind. Android has been the best selling OS on tablets since 2013, and on smartphones it is dominant by any metric. Initially developed by Android, Inc., which Google bought in 2005,Android was unveiled in 2007, along with the founding of the Open Handset Alliance – a consortium of hardware, software, and telecommunication companies devoted to advancing open standardsfor mobile devices. As of July 2013, the Google Play store has had over one million Android applications (“apps”) published, and over 50 billion applications downloaded. An April–May 2013 survey of mobile application developers found that 71% of developers create applications for Android, and a 2015 survey found that 40% of full-time professional developers see Android as their priority target platform, which is comparable to Apple‘s iOS on 37% with both platforms far above others. At Google I/O 2014, the company revealed that there were over one billion active monthly Android users, up from 538 million in June 2013. Android’s source code is released by Google under open sourcelicenses, although most Android devices ultimately ship with a combination of open source and proprietary software, including proprietary software required for accessing Google services. Android is popular with technology companies that require a ready-made, low-cost and customizable operating system for high-tech devices. Its open nature has encouraged a large community of developers and enthusiasts to use the open-source code as a foundation for community-driven projects, which add new features for advanced users or bring Android to devices originally shipped with other operating systems. At the same time, as Android has no centralised update system most Android devices fail to receive security updates: research in 2015 concluded that almost 90% of Android phones in use had known but unpatched security vulnerabilities due to lack of updates and support. The success of Android has made it a target for patent litigation as part of the so-called “smartphone wars” between technology companies. An ASUS Eee Pad Transformer running Android 3.2.1 Honeycomb; the keyboard is part of a docking station for the tablet. 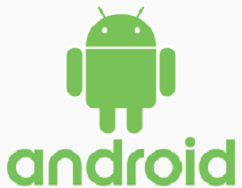 Android is a Linux-based operating system that Google offers as open source under the Apache license. It is designed primarily for mobile devices such as smartphones and tablet computers. Android supports low-cost ARM systems. Many such systems were announced in 2010. However, much of Android’s tablet initiative came from manufacturers, while Google primarily focused on smartphones and restricted the App Market from non-phone devices. The BlackBerry PlayBook is a tablet computer announced in September 2010 that runs the BlackBerry Tablet OS. The OS is based on the QNX system that Research in Motion acquired in early 2010. Delivery to developers and enterprise customers was expected in October 2010. The BlackBerry PlayBook was officially released to US and Canadian consumers on April 19, 2011. The iPad in a case running the YouTube app. The iPad runs iOS, which was created for the iPhone and iPod Touch. Although built on the same underlying Unix implementation as MacOS, its user interface is radically different. iOS is designed for fingers and has none of the features that required a stylus on earlier tablets. Apple introduced multi-touch gestures, such as moving two fingers apart or together to zoom in or out, also known as “pinch to zoom”. iOS is built for the ARM architecture. Previous to the iPad, Axiotron introduced an aftermarket, heavily modified Apple MacBook called Modbook, a Mac OS X-based tablet personal computer. The Modbook uses Apple’s Inkwell for handwriting and gesture recognition, and uses digitization hardware from Wacom. To get Mac OS X to talk to the digitizer on the integrated tablet, the Modbook is supplied with a third-party driver called TabletMagic; Wacom does not provide driver support for this device. Another predecessor to the iPad was the Apple MessagePad introduced in 1993. X.org now supports screen rotation and tablet input through Wacom drivers, and handwriting recognition software from both the Qt-based Qtopia and GTK+-based Internet Tablet OS provide open source systems. KDE‘s Plasma Active is a graphical environment for tablet. Canonical has hinted that Ubuntu will be available on tablets by 2014. [dated info]TabletKiosk was the first to offer a hybrid digitizer / touch device running openSUSE Linux. Nokia entered the tablet space in May 2005 with the Nokia 770 running Maemo, a Debian-based Linux distribution custom-made for their Internet tablet line. The product line continued with the N900, with phone capabilities. The user interface and application framework layer, named Hildon, was an early instance of a software platform for generic computing in a tablet device intended for internet consumption. But Nokia didn’t commit to it as their only platform for their future mobile devices and the project competed against other in-house platforms and later replaced it with the Series 60. MeeGo was a Linux-based operating system developed by Intel and Nokia that supports Netbooks, Smartphones and Tablet PCs. In 2010, Nokia and Intel combined the Maemo and Moblin projects to form MeeGo. The first tablet using MeeGo is the Neofonie WeTab launched September 2010 in Germany. The WeTab uses an extended version of the MeeGo operating system called WeTab OS. WeTab OS adds runtimes for Android and Adobe AIR and provides a proprietary user interface optimized for the WeTab device. On 27 September 2011 the Linux Foundation announced that MeeGo would be replaced in 2012 by Tizen. Firefox OS is an open-source operating system based on Linux and the Firefox web browser, targeting low-end smartphones, tablet computers and smart TV devices. In 2013 the Mozilla Foundation started a prototype tablet model with Foxconn. Following Windows for Pen Computing for Windows 3.1 in 1991, Microsoft supported tablets running Windows XP under the Microsoft Tablet PC name. According to Microsoft in 2001, “Microsoft Tablet PCs” are pen-based, fully functional x86 PCs with handwriting and voice recognition functionality. Tablet PCs used the same hardware as laptops but added support for pen input. Windows XP Tablet PC Edition provided pen support. Tablet support was added to both Home and Business versions of Windows Vista and Windows 7. Tablets running Windows could use the touchscreen for mouse input, hand writing recognition and gesture support. Following Tablet PC, Microsoft announced the Ultra-mobile PC initiative in 2006 which brought Windows tablets to a smaller, touch-centric form factor. In 2008, Microsoft showed a prototype of a two-screen tablet called Microsoft Courier, but cancelled the project. A model of the Asus Eee Pad shown in 2010 was to use Windows CE but switched to Android. In October 2012, Microsoft released Windows 8, which features significant changes to various aspects of the operating system’s user interface and platform which are designed for touch-based devices such as tablets. The operating system also introduced an application store and a new style of application optimized primarily for use on tablets. Microsoft also introduced Windows RT, an edition of Windows 8 for use on ARM-based devices. The launch of Windows 8 and RT was accompanied by the release of devices with the two operating systems by various manufacturers (including Microsoft themselves, with the release of Surface), such as slate tablets, hybrids, and convertibles. Windows RT is likely to be discontinued. On June 18, 2012 Microsoft launched the Microsoft Surface, the first computer in the company’s history to have its hardware made by Microsoft. The Surface RT is a tablet while the Surface Pro is a fully functioning computer in a tablet form factor. The Surface RT comes with a copy of Office 2013, which gives a customer access to Word, Excel, PowerPoint and OneNote. The Surface RT comes with a Tegra 3 Processor, one kick stand position, USB 2.0 port, microSD card slot to expand storage and one-megapixel cameras (front and back). All first generation tablets come with Windows RT, and are upgradable to Windows RT 8.1. This update also adds Outlook 2013 to Office. The Surface Pro contains similar hardware to a standard laptop. The device does not come equipped with Office 2013. It contains a third generation Intel Core i5 processor, USB 3.0 port, Windows 8 Pro (free update to Windows 8.1 available) and allows the user to run traditional desktop applications.